Scroll down the page to find lights, light sticks, scent, swivels, hooks, tubing, thimbles, crimps, and weights. 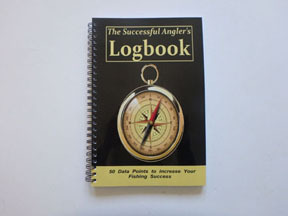 Regular use of this logbook can improve your fishing over time. Fill in all the data points each time and track what works for future success. 50 data points for each entry plus space for your own notes covers everything. Plus useful information and helpful tips to read while waiting for the fish to bite. 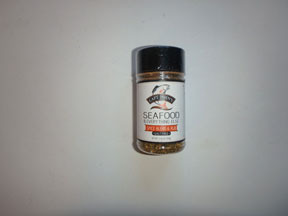 Add more flavor when you cook your catch with this tasty salt-free spice blend. 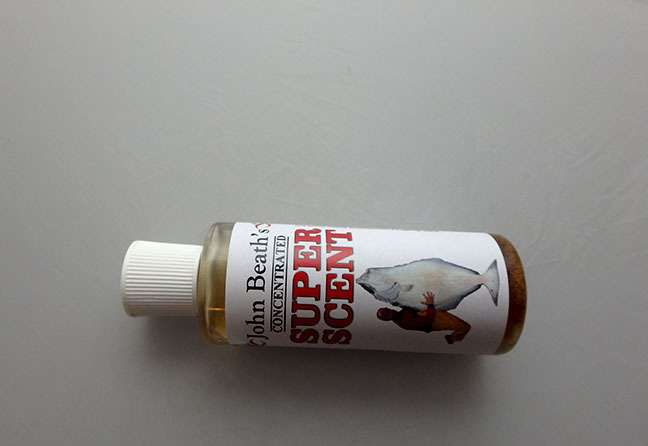 Tastes great on seafood and just about anything else. Quality spice blend contains garlic powder, onion powder, rosemary, coriander, celery seed, lemon zest, lime zest, black pepper, dill, cayenne, smoked paprika, tarragon, and mustard. Value sized 3.36 ounce jar. 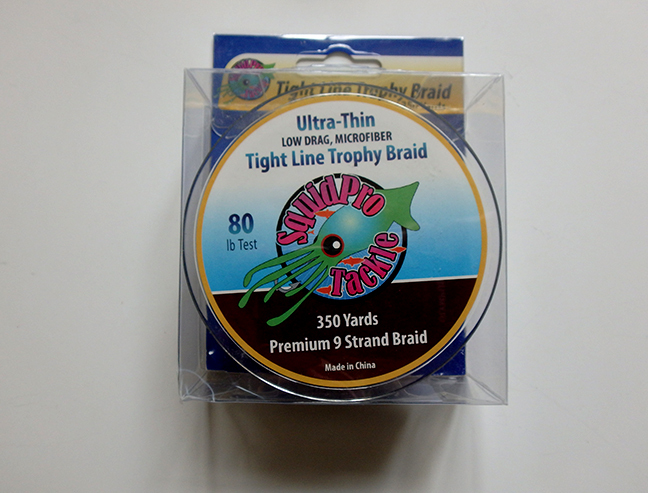 350 yards of 9-strand braid low drag microfiber premium 80-pound test line. Excellent abrasion resistance at a low price. 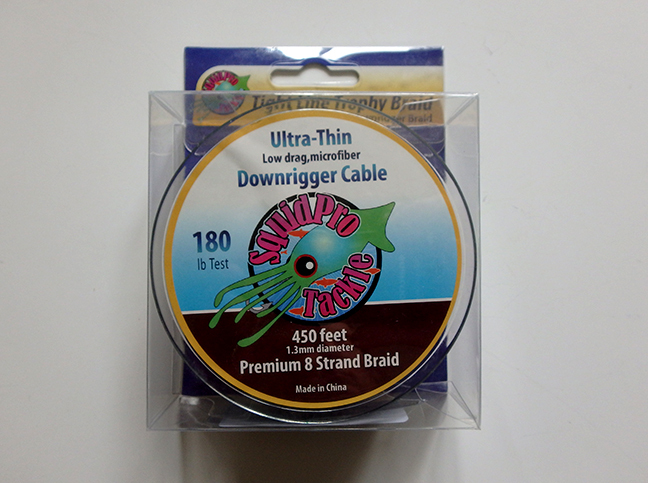 300 feet of 8 strand braid for downriggers. 1.3mm thick, 220 lb test. 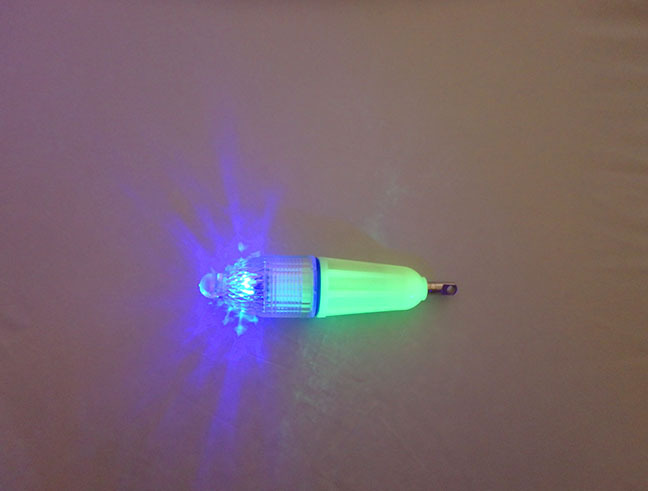 UV light flashes as soon as you put this light into water. Light is about 1 1/2 inches long with metal ring on base for attachment to spreader bar or leader. Good for about 250 hours of use. 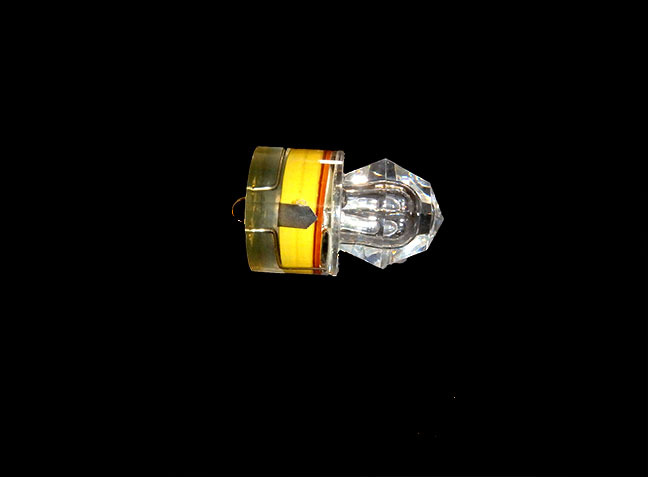 White light flashes as soon as you put this light into water. 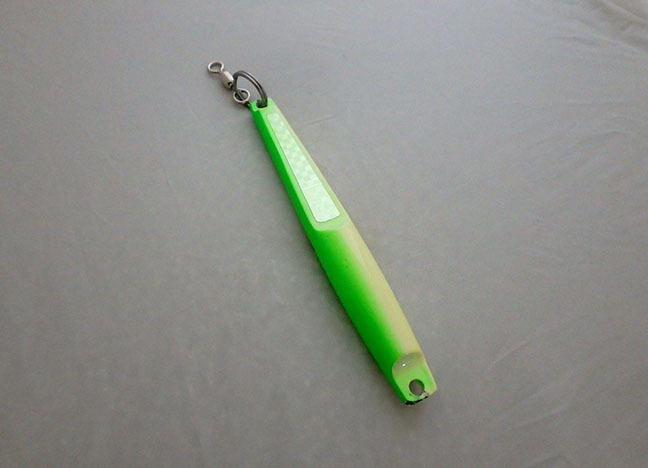 Light is about 1 1/2 inches long with metal ring on base for attachment to spreader bar or leader. Good for about 250 hours of use. 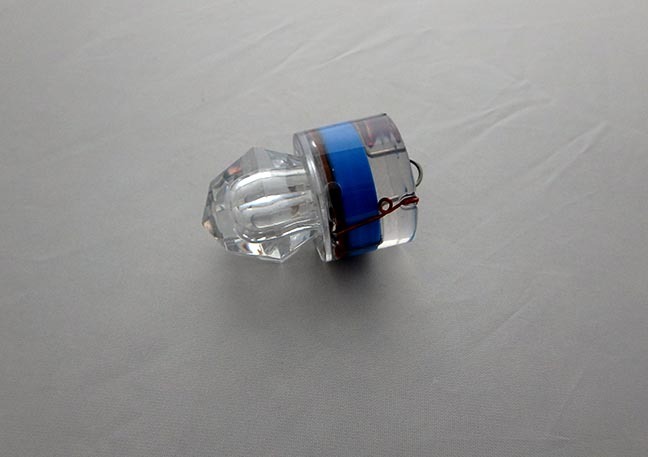 Blue light flashes as soon as you put this light into water. Light is about 1 1/2 inches long with metal ring on base for attachment to spreader bar or leader. Good for about 250 hours of use. 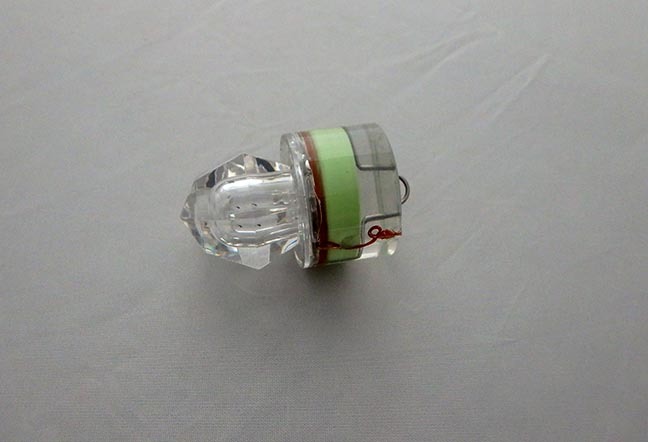 Green light flashes as soon as you put this light into water. Light is about 1 1/2 inches long with metal ring on base for attachment to spreader bar or leader. Good for about 250 hours of use. 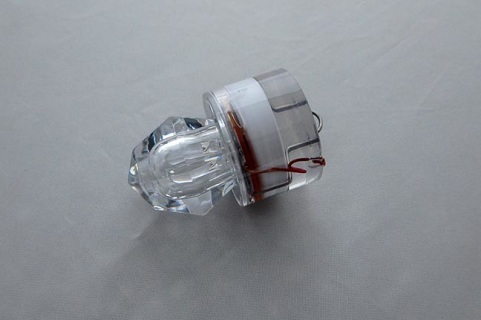 Package of two AA battery model, glow body white Trophy Torches. 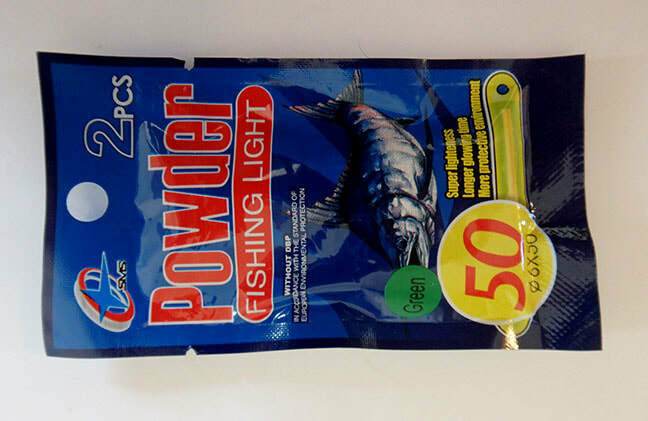 Works great for all game fish. Takes one AA battery, which lasts around 24 hours in continuous use. 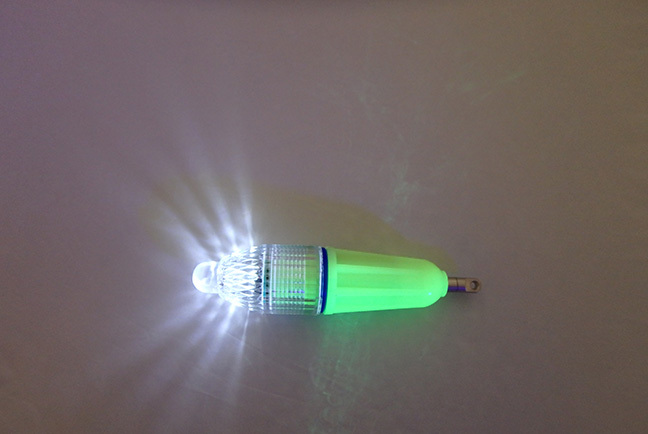 Light is about 4 inches long and has metal tab with attachment hole. White light works great for shrimp pots too. 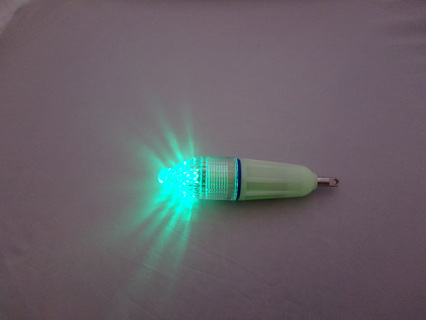 Package of two AA battery model, glow body green Trophy Torches. 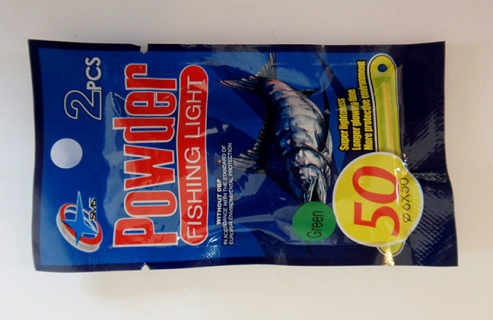 Works great for all game fish. Takes one AA battery, which lasts around 24 hours in continuous use. Light is about 4 inches long and has metal tab with attachment hole. Package of two AA battery model, glow body blue Trophy Torches. 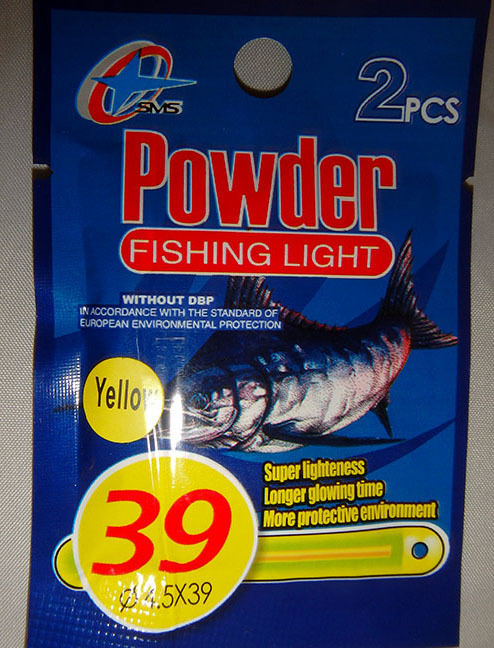 Works great for all game fish. Takes one AA battery, which lasts around 24 hours in continuous use. 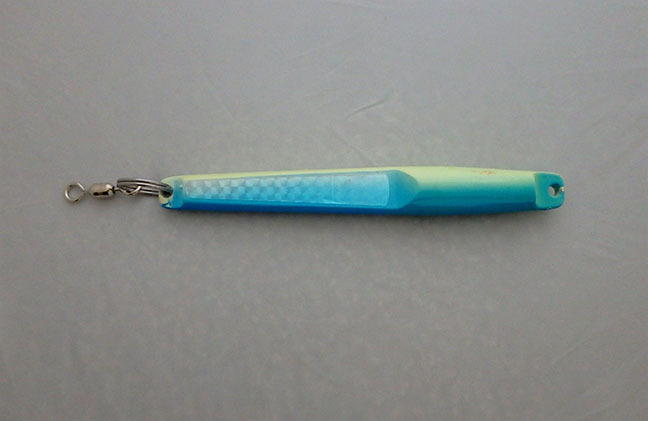 Light is about 4 inches long and has metal tab with attachment hole. 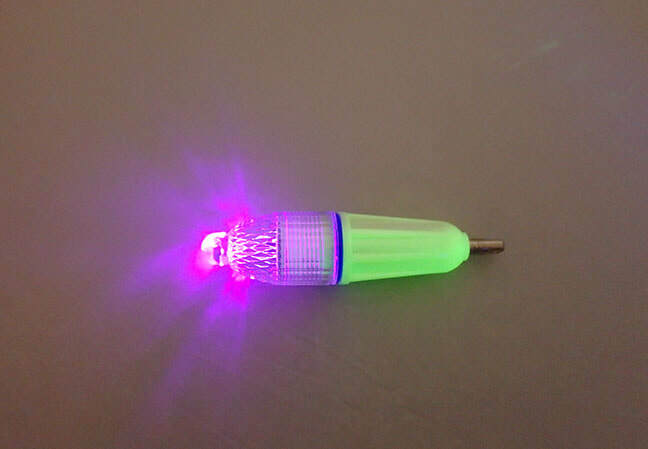 Package of two AA battery model, glow body UV Trophy Torches. 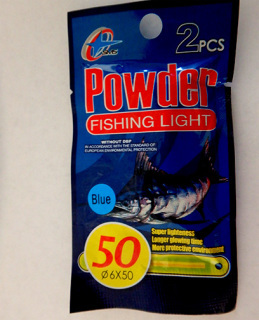 Works great for all game fish. Takes one AA battery, which lasts around 24 hours in continuous use. 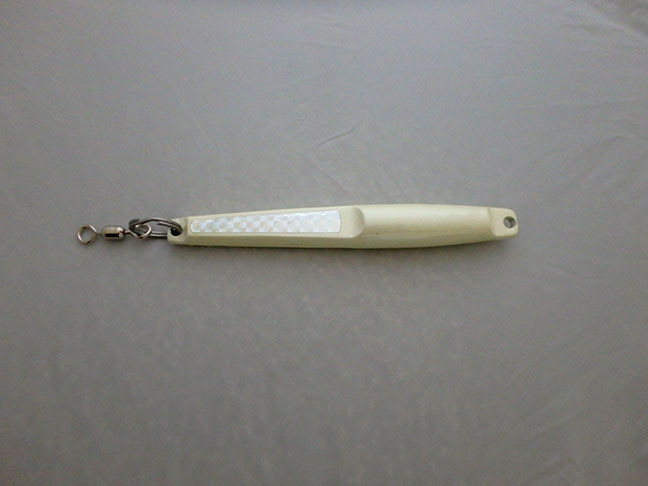 Light is about 4 inches long and has metal tab with attachment hole. 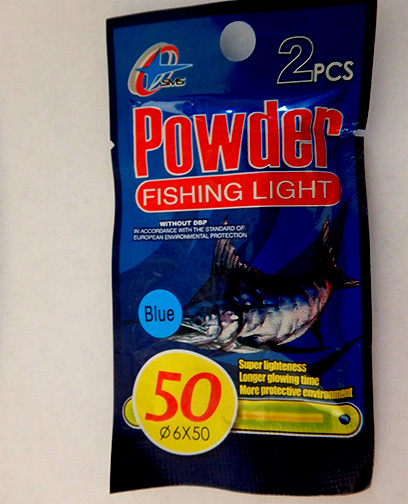 Package of two blue chemical light sticks size 50. Use with 10-inch Fat Squids or inside scent tubes. Package of two green chemical light sticks size 50. 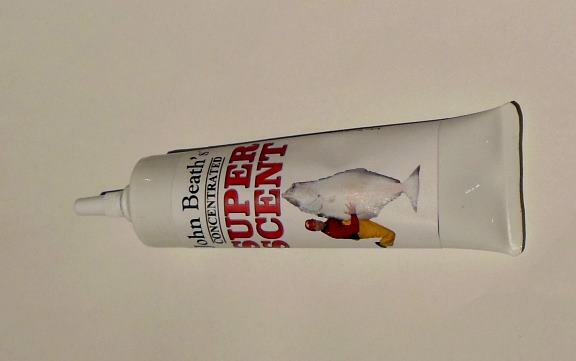 Use with 10-inch Fat Squids or inside scent tubes. 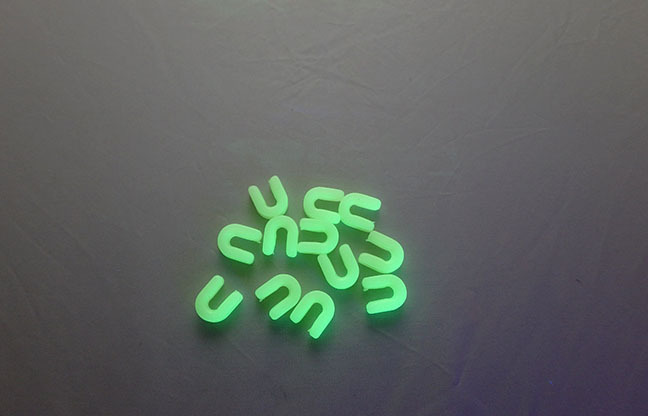 Package of two green chemical light sticks size 39. 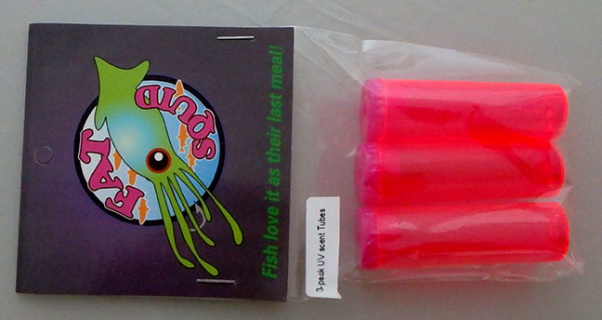 Use with 7.5-inch Fat Squids or inside scent tubes. Package of two yellow chemical light sticks size 39. Use with 7.5-inch Fat Squids or inside scent tubes. Package of two red chemical light sticks size 39. 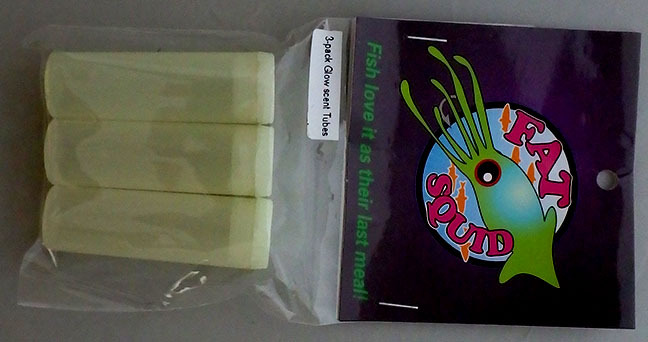 Use with 7.5-inch Fat Squids or inside scent tubes. Use scent to appeal to the fish's sense of smell because the more of the fish's senses you stimulate the more fish you catch. 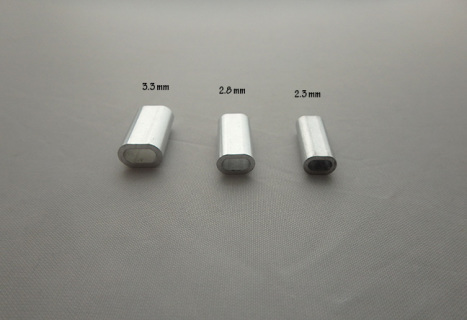 Package of 3 plastic scent tubes. Tube has holes on both ends to string the line through it plus a hole to disburse the scent so your lure leaves a fish-attracting scent trail. 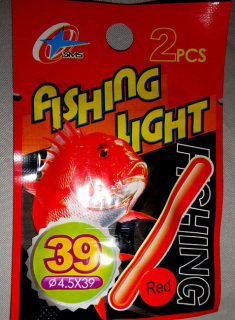 Add a light stick inside to bring fish in by sight as well as smell. 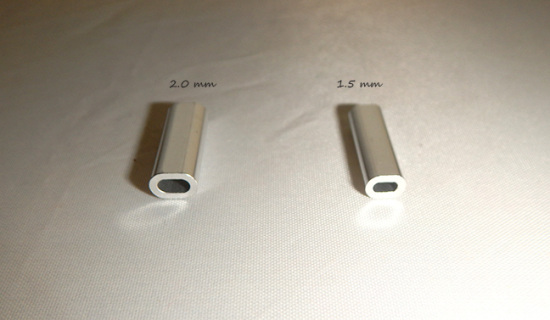 Tube is 6 cm (just under 2.5 inches) long. Fits inside the double skirts found on the squids & skirts page. 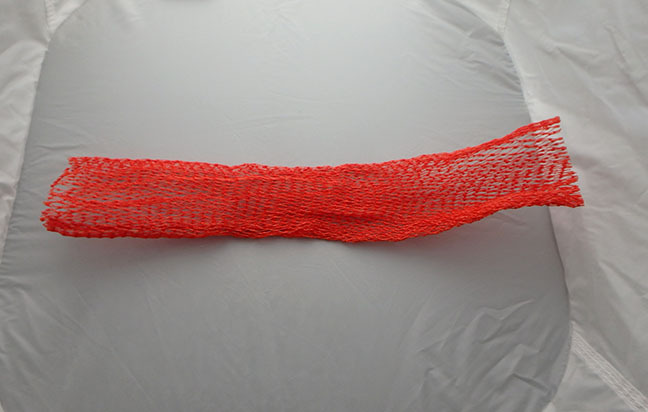 One foot section of chum net tube. Fill with your favorite chum and use zip-tie or cord to close ends. 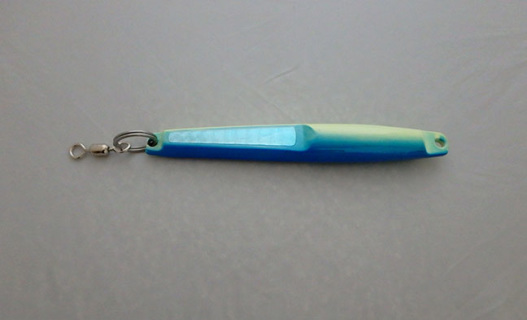 Hang from downrigger to attract more fish to your lures. Corkscrew swivels make tackle changes quick and easy. 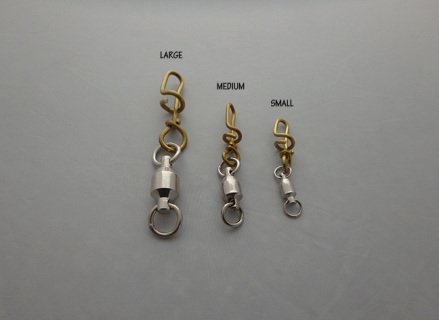 Corkscrew swivels make tackle changes quick and easy. 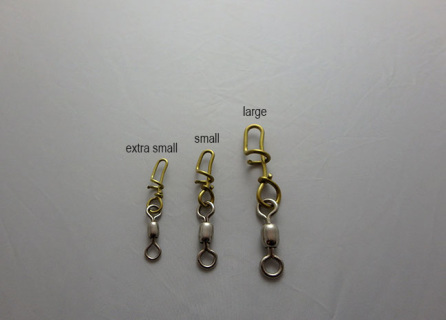 Use extra-small swivels with light tackle. 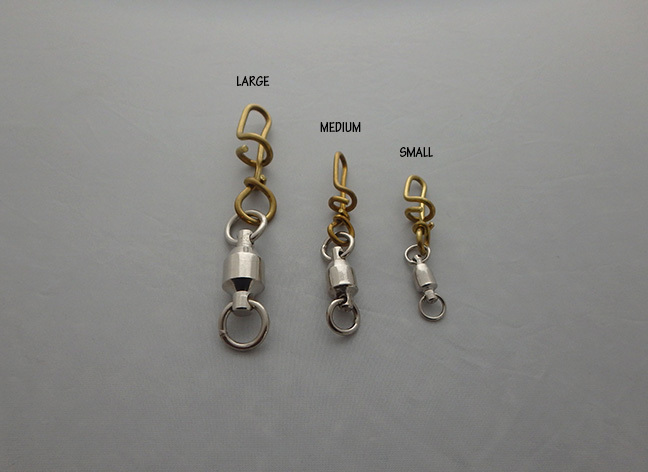 Heavy duty large ball bearing swivels for large tackle with corkscrew for easy tackle changes. Ball bearing swivels with corkscrew for easy tackle changes. Ball bearing swivels with corkscrew for easy tackle changes. 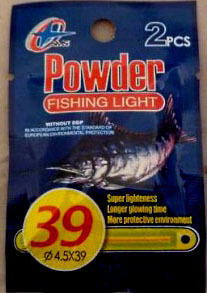 Smaller size for lighter tackle. 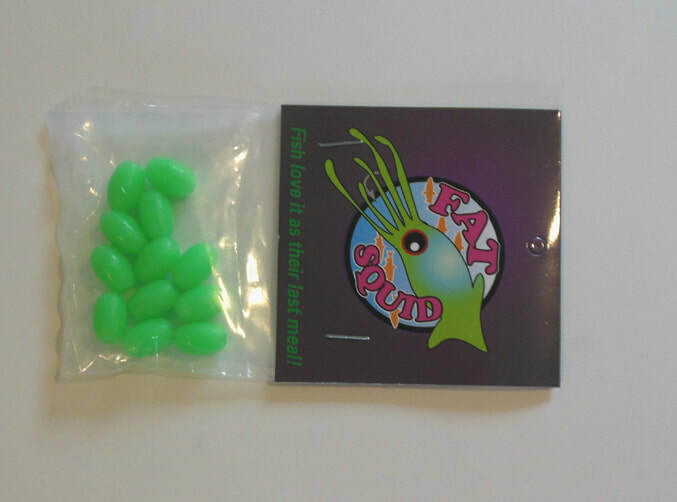 Package of 12 9/16 inch long green glow beads. 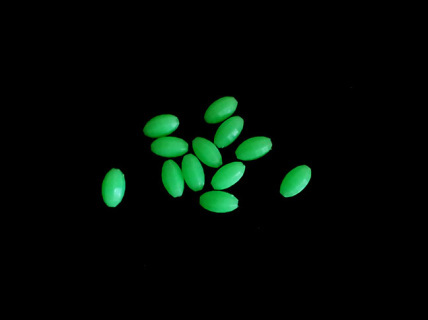 These bright glow beads add extra visibility to your tackle. The inside diameter of the hole is large enough for thick heavy line or leaders. Package of 12 large glow beads. Wide hole perfect for stringing on thick line. 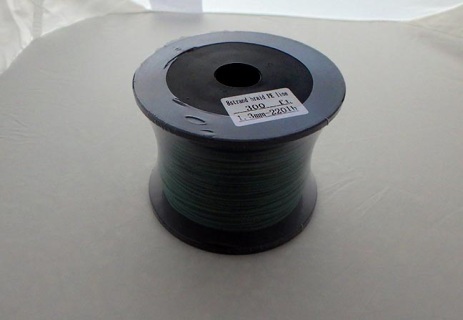 3 feet of UV tubing to use on your lines or small hooks. 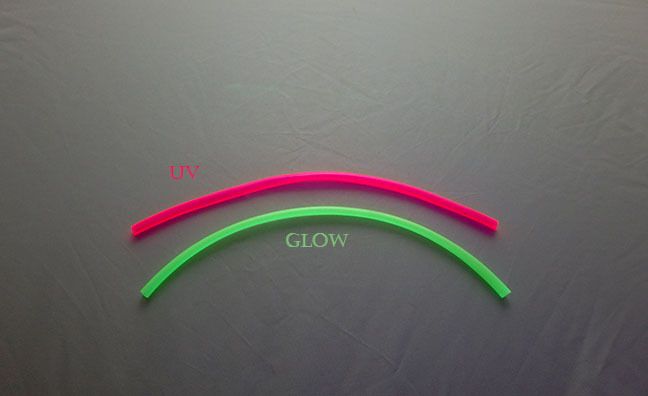 3 feet of Glow tubing to use on your lines or small hooks. 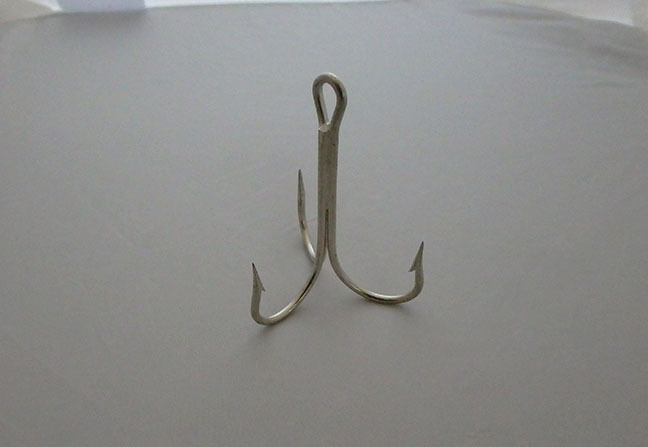 Hook measures 2 x 3 inches. This is the size used in all Brite Bite leaders and mono spreaders. 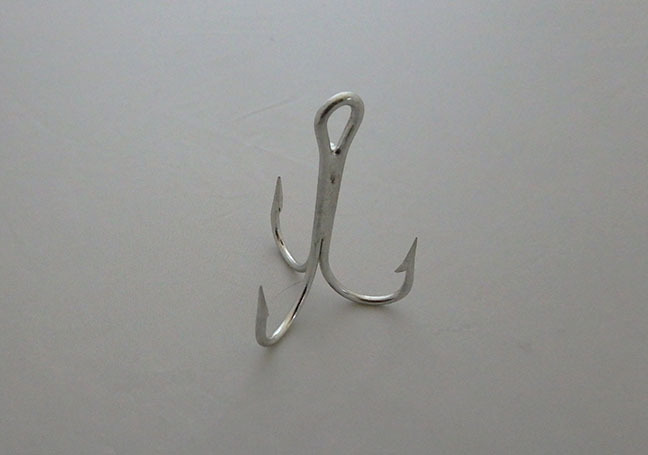 Hook measures 1.5 x 2,25 inches. 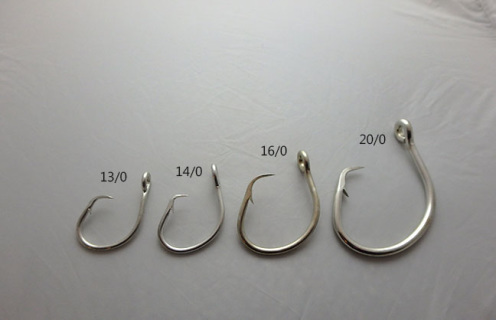 Good hook for average size fish. Hook measures 1 3/8 x 2 1/4 inches. Good hook for average size fish. Large treble hook stands 3 inches tall and each of the three hooks are 1 1/8 inches high, 1 1/8 inches wide and spaced 2 inches apart. Package of 10 glow thimbles. These thimbles hold line as thick as 600-pound test. Large aluminum crimps fit over tuna cord doubled over. Medium aluminum crimps fit over 500 pound test monofilament line doubled over. 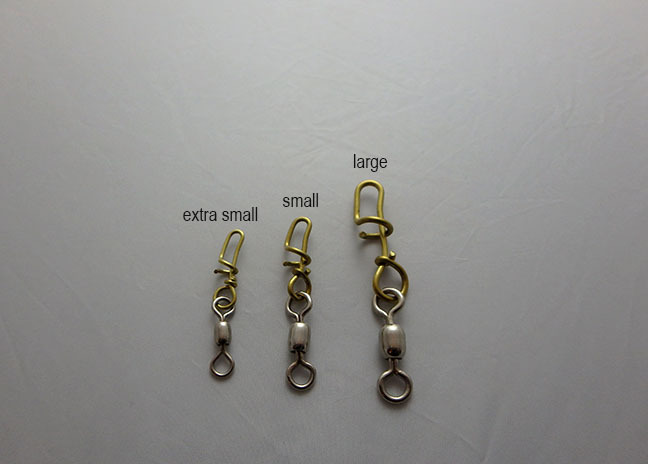 Use in place of lead weights or add a hook and use as a jig. Foreign orders placed on this site may be asked to send additional money for shipping before the products can ship. Avoid that delay by shopping at SquidLures.com.